Following on from Dark & Fluffy, this collection is a further nine short fiction pieces. 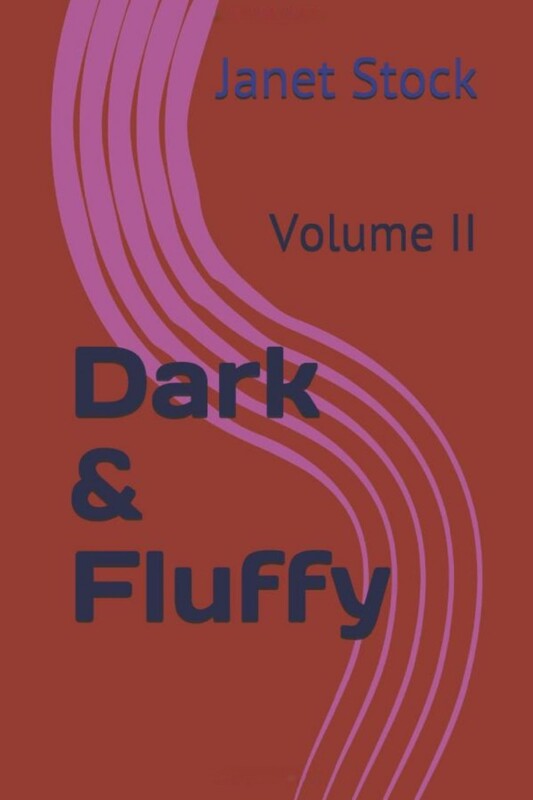 The title Dark & Fluffy II, reflects the general styles of the stories/prose in the book. Some are a bit darker, and may be a bit uncomfortable to read, Death by Testing and The Broken Arrangement fall into this category. Others are happier, feel good pieces like The Disney Club. Whatever your preference, I’m sure you’ll find something that will grab your attention. I prefer to write in the early morning before anyone else is up. I like the idea of being alone while I’m writing so that it’s just me and my words. Although this is the ideal, I do also spend a lot of time writing in the evenings. I try to write most days, and some days I will hand write pieces rather than type them straight onto my computer. I tend to do this when an idea comes to me quickly, so that I don’t lose the thread of the idea in between getting up and logging on. I have a spare room at home where I work. No, no rituals, I just sit down and write. I trust myself to write something worthwhile and don’t put any pressure on myself. It doesn’t have to be perfect first time. 3. Is there a drink ofr some food that keeps you company while you write? Always a pot of coffee. My favourite book is A Wizard of Earthsea by Ursula le Guin. Yes, I don’t only write in one genre. 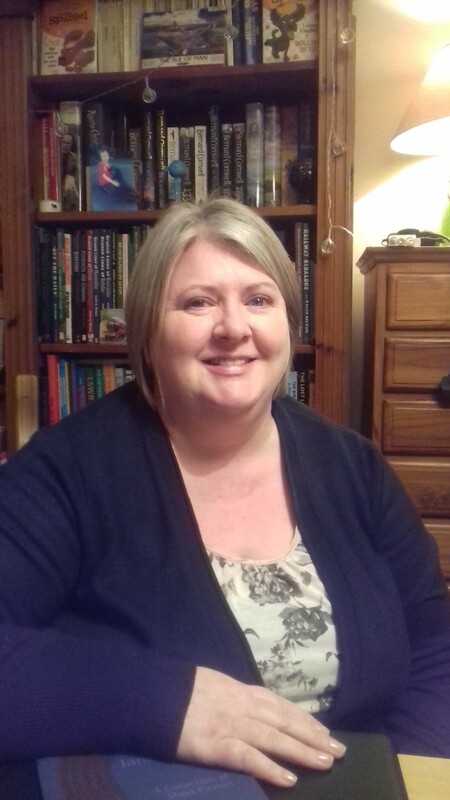 I have written historical fiction, horror, fantasy and general fiction. I would like to try writing children’s fiction in the future. I think most of my characters are based on people I know, either consciously or sub-consciously. The main character in the novel that I am currently working on reacts to some situations in the same way I think I would have done at a younger age. I have a couple of teenage characters in my short stories that have reacted the same way my own teenage son would. Yes, I always have a notebook with me, and I have numerous notebooks around the house as well! I don’t like anything too graphic and I certainly don’t consider myself to be a poet. Chick-lit frustrates me, as I don’t seem to have the ability to think of ideas that would fit into this genre. David Walliams. He seems to me to be the modern day Roald Dahl. Hopefully I could contribute something to a co-written book after bringing up a child! 10. If you should travel to a foreign country to do research, which one would you chose and why? I would either go to France to do detailed research about the medieval period or go to America and immerse myself in small town life and hope that it would provide me with loads of ideas for future dark stories. Just like it seems to do for Stephen King. Thank you, Janet Stock and RachelsRandomResources. I am married with one teenage son and have always been a keen reader and writer since being young. I was born in Lancashire but have lived in Lincoln for over 30 years. Several years ago I decided to take my writing seriously. I completed an OU course in creative writing and a Writers Bureau course. Initially I concentrated on short story writing, and when I turned fifty this year, I self-published my first book, Dark and Fluffy. I love writing short stories, but my main goal is to have a novel published. Ten years ago, I started the first book of a trilogy of novels called The Little Servant (The Wait’s Son). I am still working on this, but now I have a serious intent to get this finished this year. My favourite genre is medieval fiction, Bernard Cornwell is my favourite author. I also like to read Edward Rutherford, Stephen King, and Dean Coontz.